In Ancient times there was a mysterious theme the one of the sky mill, it wasn’t a motif, it was a symbol for the change the ancient viewed in the sky over the ages, through the procession of the equinox, different constellations presented themselves to the eye in the sky at different times, the change was so slow as to take hundred of years to present a new constellation all together at the time of the equinox, yet the ancients understood and saw that changed and called the whole effect a mill. In the norse epic the Kalevala That heavenly mill is called the Sampo, its a multi coloured article, a magical mill forged by a the best Smith. We want to use this motif and develop it into a themed event this coming September, In the Heartland campground in Abruzzo where we are researching a new type of hybrid between sustainable tourism and personal development work. The idea is to run another of those special events which are a mix of tent making, and promotional work, cutting edge performance and inner work, but all the while in the wildest nature of Abruzzo, the mountains and the open air, we will be raising 4 yurts, and be focusing this time of the central tent portion of the Zodiac tent, the Zome. Because the theme happens to be The heavenly mill, we want for the cooking part of the event focus on food made from the ancient grains of Abruzzo, to develop a way to feed the event participant that connects us to a gluten free or at least gluten healthy past, when the local ancient grains where still healthy to eat….. Before modern Wheat, so we will make pasta, and eat Spelt grain for staple, make bread in the fire etc. The focus of this month long event will be to create a sort of alternative performance geared towards change Alongside a group of other people we are developing a type of activity that hopefully will turn into a participatory show, one that takes the spectator right into the show, like a sort of rite of passage from the past, the zodiac tent is going to be a sort of oracle edifice, and so we are working to have a sort of mix between challenging the self into deeper layers of connectivity, we hope to again touch on the subjects of telepathy, and well being, inner calling etc. Like each of our events, there will be a sweatlodge to purify ourselves, this will hopefully take place around the equinox time, the moment of change. here is a video of the last event we hosted in the spring, we hope to be holding two of these month long events every year. Contact us if you feel called to participate, remember we will be living only in nature and sleeping in yurts, and the scope of inner work and this level of natural encounter isnt for everyone, its for people who wish to further into their psyche, for those of us that are willing to witness the mill of change and understand how it makes everything revolve, how it grinds the new age. The Circle Grows and Anti Terrorism Acts. The big upheaval of the Paris terror attacks (don’t worry its not one of those political posts) came to us with a twist. It’s hard to find your head and tails in all the latest war in the middle east drama, the refugees coming into Europe seem to have given a whole lot of people something to concentrate on to make them feel like they are doing good. The other week a friend of ours came around to visit, it was funny in a way because he works for the Associated press in Italy – ANSA, as a camera man, we were proud of the fact he still chose to stick to the plan and come around and spend the week end although he was due to go to Paris instead, he took some nice photos all over the site, down to the river, and back up. It was hard on him to drive back to Rome and fly straight to Paris, a little soul churning. The Zodiac Yurt circle has grown after the Yurt making event we did this autumn, we now have the third yurt in the making and the first two on the ground, so between fixing diggers, picking olives and the never ending amount of yurt orders, I’ve taken a moment to post some of these nice pics he took up here to take your mind off the terrorism. On the Other Side of The Yurt Makers’ Heart: The Libra Yurt is born. The Libra Yurt is Born: the next yurt of The Zodiac Tent. Having been clearing and flattening the site all summer long, a lot of the ground was bare and the new grass has not caught yet, so we were worried that an increase in rain will turn the site into a mud bath. We spent a few weeks getting the place up and together with the help of some friends and relations: we first made a large workshop area near the Zodiac Tent site. Next thing we rigged up the tents again: the Scorpio yurt was up all summer long, but we had taken the Sibley tent down (its a type of hanging tipi) so that had to go up again. Luckily we had some friends to visit just in time, and it was lots of fun putting it all up, and it felt like the event was already on. The Sibley tent is a tent we made earlier this year, it is traditionally pitched with a tripod, under which one has an open fire, but we just hang it from a friendly oak. The last tent to go up was the latest addition to the Baker Tent Family, the ‘Kitchen Tent’, which is a double sized Baker Tent. So, the group arrived, a few of the participants had already made a yurt before, and one friend was a professional yurt maker. Everybody where keen to get into it, we started the week by going into the forest and cutting poles. We than started the peeling and steaming process, every body getting into peeling and shaping rafters, tying trellis poles, and glueing the wheel. All through we were introducing group work and inner focus, but with little emphasis so not to make it too emotional for the group. However it seemed, at times, that there was so much people were going through because of the ‘open psychic space’ around, and working together out in nature. at one point an Israeli participant even commented, “wow where is all this emotionality coming from I thought we came here to make a yurt”! (He was just joking, trying to keep things light). The community making process, was taking place and it was interesting to see the group going through the motions, how the first high of coming together was replaced by disillusion and how harder feelings started coming up, it was amazing to witness some of the things people went through. The weather mirrored this process with more rain than we’d had all the summer in a couple of days. The collective mud-bath did bring the group together. It proved that group process work could be maintained simply by intent, and our job was simply to hold the process and the place together. There is simply too much to say and the inner processes that took place are too private to share here, but it was a deep experience seeing a little tribe form and go through it together facing the elements together, at moments even crying together. In a way some of the best things to come out were the resolutions people came up with at the end. We got some amazing thank you’s, and were told by one woman that it was a life changing experience and she has decided to up it and go into a new life within the year, that coming back home after all the nature was trying. At one point in the middle of this gathering we were sitting by the fire, and Lucy said we need to look for an omen to find out which sign this yurt will represent. With the Scorpio Yurt, we had a clear sign when a Scorpion crawled out of one of the door posts whilst it was being made.) Her feeling was that this yurt was the Libra yurt as this gathering started as the Sun moved into Libra on the Autumn Equinox, going until the Super Harvest Moon Eclipse the night before the yurt went up. As she said it, we were all outside looking at the sky for Libra and there was a collective gasp as a shooting star shot through the sky. We knew this one was the Libra yurt. Here is an article by Dayana Piccoli, who participated in the event, in ‘Chi si dicie’, the magazine of Torricella Peligna, our local town. Amidst the pages of town history and rural life, Dayana’s article (page 17) shines through, and says much of what I was gonna share here, and a little more! Better polish your Italian. Contact us if you are interested in participating in a similar event. We are also starting to look for people that want to get involved on a more regular basis, help with the work while living in nature for longer periods, or even help us run events. And here is a little Video that shows some nice moments from the gathering. The term ‘zome’, invented in 1968 by Steve Durkee, comes from ‘zonohedron’ and ‘dome’. A zonohedron is a polyhedron (a solid in three dimensions with flat faces, straight edges and sharp corners) where every face is a polygon (a flat shape made up of straight lines) with symmetry under rotations through 180°. ie the faces are the same if you rotate them by half a turn. For example: rhombus, square. The zome structure is built around a series of double helixes, a helix being a spiral with constant diameter. The building block of life is the DNA double helix. In the full zome cone each helix does a complete turn from the bottom to the top, and the top view is the Seed of Life, which, becomes the Flower of Life, when extended indefinitely. The Flower of Life is a sacred geometrical figure found all over the world. There are (at least) two ways of constructing a zome: masculine and feminine. In the masculine or polyhedral form, each half helix is split into n equal sections, making ‘n’ levels with straight struts of the same length in each level. The change in the angle which the struts make with the horizontal is constant between successive levels and this angle grows towards the top, so that the top struts are almost vertical. The vertical height of each layer is the same for all layers. The faces are rhombuses of differing sizes. (Diagrams thanks to Rene Muller). In the feminine version, invented by Nicolas Causse, each strut is a true half helix of constant curvature. The struts therefore have both a curve and a twist with 2 kinds of struts: lefts and rights, ie clockwise and anti-clockwise twists. We make our struts with laminated layers of wood, clamped onto a specially made jig. Lefts on one diagonal, rights the other. Zome is where the Art is. And here we have a model of The Zodiac Tent with the zome at its heart. As we have finally got to welding the last levels of zome connectors, I have been looking into how to weave group consciousness work with architecture, or more to the point of how to use the zodiac tent for that type of group work. Let’s take a step back though, and introduce group consciousness work again, referring to a field of work that is very much our everyday reality, but i guess is unknown to most. We had the fortune (or misfortune) of being drafted into a very peculiar state of affairs. Everybody knows about consciousness work and even some types of awareness enhancement, but few of us have ever ventured into it with others- en mass, I mean consciousness work or (almost everything) is done by all of us as separate beings. At the level of everyday life, it meant to us that we became finely in-tuned to a group of others, firstly those that live with us – it’s like we are one unit, at times it’s not clear where one starts and the others end. But it’s even louder as a phenomenon with those group members that are a part but don’t live with us (are apart from us), as we are aware of them as us even if they are at the other side of the world. I guess usually the natural instinct is to avoid that level of conductivity with others, because …. …well what is the point of experiencing another’s feeling and thoughts as your own? Waking up in the middle of the night because someone you are sharing the group body with, is going through it at the other side of the world, or being in love when they are? When we were drafted into this work 17 years or so ago, the boundaries (of the connectivity field, or the shared space) were established outside our immediate living situation, meaning that we could feel anyone in that space as if we were them, at times even hear their thoughts!, but as soon as they were out they were OUT. That applied to group members to a lesser extent too. The largest space I recall being held is 4km, but usually it was the space around us, where the trucks where parked or where we lived. These days the connectivity field is bound by another type of living situation and the criteria is different, but we will get to that later hopefully. All of that ‘feeling others’ business and telepathically viewing them, is nothing in comparison to the depths that we uncovered in our-selves and in our direct group. (The criteria of ‘membership’ of this group is a whole other magical story). physically, mentally and ho ho ho …. Emotionally. The thing is it often happens that you feel things as if they are ‘you’, whatever that means, and the challenge if to distinguish the subtle differences in flavour, to know who it is. Ultimately, the ‘who’s doing what’ level is not so interesting, other than to understand what’s happening. It is all just energy after all. BUT…. real advantages of this type of shared awareness and telepathy or even sharing feelings is nothing in comparison, with its deeper elements. (Although some aspects of it are quite entertaining, like when a friend of mine used conscious cooking as a means to slip a love potion into her Italian sweetheart’s coffee ……. and he then fell madly in love with her). The real jewel is in the capacity of a group to form a greater field of consciousness, one that has awareness of its own, independent of the participants (although intrinsically and energetically made after each one of the members). We came to call that the Group Mind (mind of its own). I always explain it to others like a tribal god, some people after all are religious. You can take for example the biblical story of crossing the desert, where a whole nomadic nation was made to uphold their tribal god, and in return…….He (should I say it?) manifested in their midst as a phenomenon, the pillar of fire and of smoke, a being that led them on their journeys, and told them what to do, guiding them, I would argue that he was made out of their shared awareness, an awareness they where groomed to uphold to create it. This type of experience is not only the stuff of religious legends (although some believe they are not legends after all). It happens in tribal society, like when a tribe reaches a trance together and some form of miraculous entity is born in ceremonies like a sweat lodge, or peyote ceremony when voices or things will be heard (or even seen) by the whole group, or where the “spirit” inherent in the herb is manifest as a “god” or teacher. SO alhough I believe there are powers at large inherent in power plants too, it is the phenomena of shared awareness that brings it forth as a mass, that we are looking into here. In other ways it still does happen in or everyday. On the battlefield for example, sometimes a story comes out of another type of awareness leading a group of soldiers, a battalion, a patrol, to perform miracle feats of awareness. In fact, there is not one war that has been fought that had none such stories. I guess it’s because of the dedication and intensity of experience, but more so its the shared spirit. We are not here to re-search these magical moments of group mind manifestation, but simply tried to find where anyone could look them up, not only in the magical legends of our ancestors, but here and now. I am forever intrigued by that stuff; when something else comes out the greater us. So …. Well done for keeping up with this thread as it has taken some to read I guess, maybe not as much as it took to write, but all the same well done. If you recall 100 years ago at the beginning of this very Blog entry, I said that what interests me these last days is how to create a merge between this type of work (enhancing group mind and body experiences) and nomadic architecture. There will be 12 surrounding zodiacal yurts, for the group members which will be on rails, but at some distance from the central space at the start of a workshop. This is representing the individual who is called to experience group work but is not yet connected. As the work begins (and anyone who has been part of life coaching or group mediation workshop, or any similar type of group workshop knows the energy rises to some intense heights), the yurts will be pulled towards the main tent (the zome) on their individual (train) tracks. The yurts can maybe come closer in every day, and maybe some yurts will need more time to come in and lock into the centre, representing the occupants’ inner process speeds. At some point the yurts will all be joined in a circle, which is partially immersed into the collective tent which will be the trance moment, where the workshop goers will experience (hopefully) the totality of group mind, and for a moment, that seemingly ancient stuff of legends is going to be manifest in their lives. As I was musing about all of that, I thought to myself would it not be something to make a 13th yurt representing the 13th sign Ophiuchus?, but also as a placement for that tribal godhead (as I said some people believe in God) and put that yurt right at the top where all the ribs of the zome connect? If you have experienced some type of shared awareness, it will be easy and exciting to imagine how each workshop comer can experience embodying the group mind for a moment, becoming the oracle or the group mind representetive. (I was not going to call it godhead a 3rd time). I then thought it would be nice to have a central pilar to represent the axis Mundi, or the world tree, as we earlier explored. The advantage is also that it can become a spiral staircase which doubles up as a pillar for the central yurt on top in the air. Some days are change-making days I guess, today I got an email from a friend to help free the land. He and his wife have been living in a tipi in the USA, on a piece of land for some 5 or more years, through rain and snow, summer and winter, the land is up for sale and they are trying to come up with $300,000 by end of the month to free the land or they get evicted by new landlord. The fact that the guy that taught this friend and me tent-making died a little while ago, kind of brings things into a new perspective somehow, feeling its time to move on with our dreams, like he is being called to move on with his, like the shadow of our tent-making teacher had left us and now we are called to take it onward into another level, to find a new way to express our dreaming. The other day we started joining up the Zome next levels, for those that have been following this is actually what this blog is about. For those of you that have read some of the other posts on this blog, we are going to go deeper by exploring some ancient symbols and myths. Some of you are familiar with the flower of life, but few realise that this ancient symbol usually comes together with another powerful (maybe more) symbol, in fact you may say they are a set. As you can see in this picture, here we have the flower of life, and the seed of life, but at the bottom left we have something that is unexplainable: a whirl? Those of you that been reading through the other posts, remember that this very beam is the one we happened to find in a museum on the way to the saw mill to cut the zome planks. For those of you who are not interested in understanding the mystery, and do not believe there is some motivating force out there that is in fact in communication with us, better stop reading as we are going to go right into it! To understand this whirl design, we have to go deeper into mythology than most of us are usually comfortable with, helped greatly by a book called Hamlet’s Mill, exploring the origins of human knowledge and its transmission through Myth, or at least that is its cover strap line. In fact it goes into the origin of myth itself, and talks about the commonality of certain creation myths from places around the world that should have had no connection with each other. To cut the story short, it speaks about some motifs, and narrows all our myths to the motion of the Heavens. Our Gods are the planets, the moving force. The realm of destiny or fate – the fixed abode, is the celestial sphere itself, the fixed stars. If you can imagine our earliest ancestors looking at the sky, it is not hard to understand that through the ages they would note, that not only the sky whirls every night of the year, it also spins on a tilt creating a greater cycler, which could be seen as a Great Year, a circular motion that could be seen to grind the ages. The two symbols the Mill of Heaven and the Flower of Life are aspects of the same subject, a phenomena that has a centre in the sky. Before we go into the next layer, lets see a few examples of the same pair, the flower and the Mill. We are about to Earth this Starry Mill, to ground it into reality. A few years ago I had this vision spring up, of a voyage to a mythical place we called the Heart of the World. No one ever told me that such a place existed, and the only reference in old maps back then showed us Jesus at the centre of the world, like in the Mappa mundi of Hereford. After some of those 4×4 voyages following real lines and some unseen, I found out (by accident?) that there has been an actual tradition of such a place, the axis mundi, one of such place was the oracle of delphi, and was marked by a magical stone called the navel of the world, the Omphalos. If you like the notion yourself a good book to read is called ….. The Heart Of The World (funny) by Ian Banks, exploring a two-fold voyage to some mountain ranges which are the body of a Tibetan goddess. There are places called beyols, where physical location and other worlds exist together: to pilgrim is to be an initiate. Let us collate all into one integrated vision in answer to our deepest mythologies, a response to the Flower of Life and the Heavenly Mill, symbols left for us by our ancestors: to create an earthly reflection, locating the place and positioning the Zodiac Tent (the Mill of many Colours) at the heart of the world. And in turn to create a centre for transformational events, like the oracles of old: a mystery school that is patterned after the world’s main cog – The Mill. 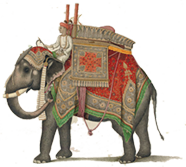 Now I understand that the Moghul Emperor’s court tents were usually crimson, and the original Zodiac Tent was crimson with coloured bands, so that is one idea, but we are playing with funky colour designs. There are various worldly things to be factored in like what it would look like on such a large structure in a natural setting, the kind of light each colour would give inside the tent and the colours of canvas available etc etc, but here are a few possibilities, hot from Sketchup central…. So a bit more of the Zodiac tent story….the question was how in the world to make this thing, starting with the zome. We started by making a small model, to understand how the zome structure works, when Bill Coperthwaite was visiting us in Austria. Bill is a story of his own, being the first person to make a yurt in the West, the father of the western yurt perhaps. He made his first trellis yurt in the 60’s in the USA then went on to develop the wooden tapered wall yurt and is now 86 years old living on his own in the wilds of Maine. (He thus has no ‘phone or email, but reminds us of a time when pen and paper was a trusted form of communication, and somehow his letters always come at auspicious times, and find their way to us, even in the most nomadic of situations. Funnily enough, in the few days I have been writing this entry, someone asked me about him, and the next day we received his annual calendar). We made the frequency-6 model on a sunny day and saw the shadows on the structure moving towards the Flower of Life, which started a debate about where on earth, at what time of the day and year, the sun would be overhead, thus projecting the exact form. Variously in the tropics, I think. First…how wide? We thought 16′ was a good size for the peripheral yurts, making the diameter of the central structure, centre of yurt to centre of the opposite yurt, 18.6m. And how high? With help from Rob Bell’s Sketchup programme, and Nicolas’ zome programme (en Francais), several sessions of geometrical debate, and some unorthodox calculation methods (see picture), we came up with a height of 6 metres, giving a rib length of 15.6 metres. OK…so the struts are helical, and we were to make them from sawn wooden planks,in 3 laminated layers, glued together with extremely sticky, fast-drying PU glue. This meant, that to enable the canvas cover to sit evenly on the frame, the planks would need to be twisted, in two directions, like diagonally on the side of a large cylinder, like a silo. (How we found the silo is another story.) It took us a while to see that the left twist and the right twist are different, ie the helixes are sided. (Try wrapping a 1cm wide strip of paper, or better thin aluminium, around a coffee jar). Mythological intertwining. Hermes staff: the Caduceus. Then one day the boys visit the saw mill. The Scholar, who is fluent in German speaks with the sawmill guy called Thomas, the son of Thomas and actually…. the father of a Thomas, and as it is Austrian lunchtime and the mill is closed, the boys take Bill to have his coffee ice-cream. A cafe’ is found, and whilst the sugar settles in, and Bill convinces the Scholar to have some ice-cream too, the Scholar being a scholar reads the sugar packets. It turns out that the cafe is also a museum ?!! and that the owner’s grandfather spent some years collecting old farm tools and crafts, and the whole top floor of the building and bakery is dedicated to old farm life, from beds to cupboards to violin cases, to wine presses and more and more and more. Bill is an old craft and tool addict, and browsing through the top floors, the boys were amazed to meet an old farm oaken beam with the Flower of Life carved into it, an affirmation that Yes there is a thread running through the weaves and patterns. Of course we knew this pattern is portrayed all through the world: at the gates of the forbidden city in China, at countless temples and holy places and now we found out also at the ice-cream parlour on the doorstep of the Austrian sawmill. The last post told of how the Zodiac Tent came to us. Now let us take a journey from its origins in the Moghul princely tent tradition to the Zome at the centre of its modern reproduction. The Zodiac Tent was the most glorious palace tent of Humayun, a Moghul emperor who ruled present day Afghanistan, Pakistan , and parts of northern India from 1530–1540 and again from 1555–1556. Son of Babur, father of Akbar, he was an astronomical dreamer, loving splendour and esoteric mysteries, who lived and ruled his court by the stars. “And among his inventions another is a trellis tent, khargahi, which comprises twelve towers, burj, to the number of the signs of the zodiac, buraj. And these towers are contrived with windows so that the light of the stars of fortune can shine through their holes. And the star of the beauty of its arrangement and form shone on the pages of the events of the universe: The light of fortune shining through its windows, Couriers of power hastening from its doors. And another trellis tent like the sphere of spheres, which encloses the sphere of the fixed stars, surrounded this trellis tent on all sides, so as to fall on it like a cover. ” (This passage from “Felt Tents and Pavillions: The Nomadic Tradition and its Interaction with Princely Tentage”, by Peter Alford Andrews. Our friends, Peter and his wife, Mughul have researched and documented nomadic tents in meticulous detail). There is some debate as to the details of the form of Humayun’s Zodiac Tent, but the general appearance was 12 trellis tents (yurts) in a circle for the 12 signs of the Zodiac, with a central canopy covering all, to be the celestial sphere. Our challenge in designing the latest incarnation of the Zodiac Tent, was what kind of structure to have as the centre….a giant yurt?, a circus tent-type (big top) structure with a central pole? a geodesic dome? We wanted a framed tent (one where the frame stands alone without the cover) as opposed to a velum tent (where the stability of the frame is dependent on the tension in the cover, like a big top) as we were clear we wanted to eliminate the central support which stands out like a …… in the centre. Now the meta-level. Around that time an exaggerated number of abstract threads were coming to our story, catalysed by the Scholar. To explain what I mean by this, let me introduce what we call the “HTML”, or ‘living language’. (The name ‘HTML’ comes from the web programming language , referring to a code working behind the scenes). This talks in the messages which come to us from the universe at large, in the form of symbols, seeming ‘coincidences’, omens, or even directly. We had been working with this force for some time, but what was emerging here, was a living structure in the myths and symbols that were presenting themselves to all the people we work with, seemingly spontaneously across a couple of continents. What we were seeing was knowledge and myth transcending culture and time, parallel structures appearing across disciplines. This is the lingua sacra, alluded to in “The Glass Bead Game” by Herman Hesse. Then along came the zome. ‘Zome’ is a general term for a shelter, the frame of which comes from a family of complex geometrical structures, found in many natural forms such as pine cones, and honeycombs. (For an in depth description of the background and associated geometry, see Rene’s website at http://simplydifferently.org/Zome). We then discovered the helix zome, developed by Nicolas Causse, which is basically a curved version of a zome. The struts of the helix zome, are half helixes. A helix is a spiral with a constant diameter, like the DNA spiral.